MOSCOW President Vladimir Putin said Tuesday that Russia hasn't yet fulfilled a contract to send sophisticated S-300 air defense missile systems to Syria to avoid tilting the balance of power in the region. Russian officials have acknowledged earlier that Moscow signed a deal for the delivery of the powerful missiles a few years ago, but have been coy about whether any of them have been delivered. Syrian President Bashar Assad told the Lebanese TV station Al-Manar last week that Russia has fulfilled some of its weapons contracts recently, but he was vague on whether this included the advanced S-300s. Israel's defense minister told a parliamentary committee Monday that according to "Russian talk," the weapon has not yet been delivered. U.S. waivers on arms treaty at the U.N. Speaking after a Russia-European Union summit in the Ural Mountains city of Yekaterinburg, Putin defended the S-300 deal, saying it complies with the international law, but added that Russia hasn't yet fulfilled it. "It's perhaps the best such weapon in the world," Putin said at a news conference. "It's indeed a serious weapon. We don't want to throw the region off balance." "The contract has been signed a few years ago. It hasn't been fulfilled yet," Putin said. The U.S. and Israel have warned Russia against delivering the missiles, which would dramatically increase Syria's air defense potential. Israel has carried out several air strikes in Syria in recent months that are believed to have destroyed weapons shipments bound for Hezbollah militants in Lebanon. 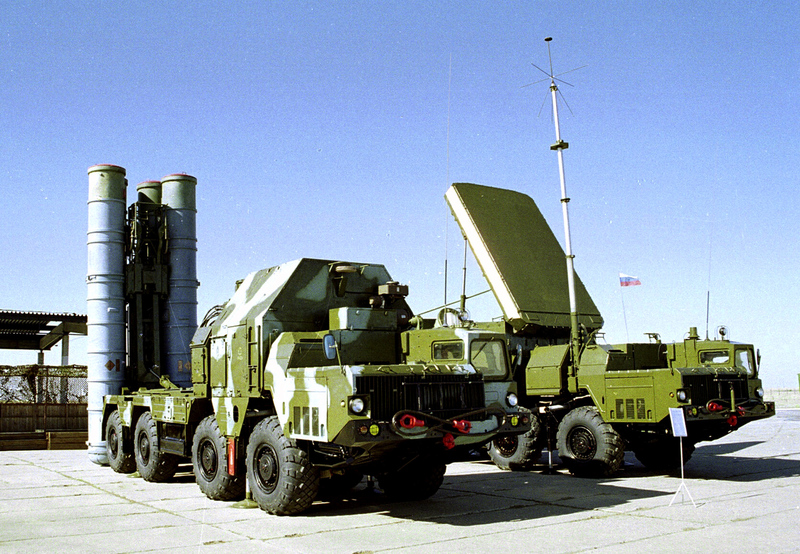 The S-300 missile system, which has a range of up to 200 kilometers (125 miles) and the capability to track down and strike multiple targets simultaneously, could significantly limit the Israeli air force's ability to act. Israel has threatened to attack the missiles if they are delivered. Russia has been a key supporter of Assad, protecting his regime from the United Nations sanctions and providing it with weapons despite the two-year civil war in which more than 70,000 people have been killed. Putin on Tuesday also criticized the EU's decision to lift the weapons embargo for Syrian rebels, saying that Russia was "disappointed" by the move, which he said ran contrary to international law. He said that Russia would continue to push for a peace conference on Syria, but added that the prospects for convening it have been clouded by the "lack of goodwill on behalf of the armed opposition."